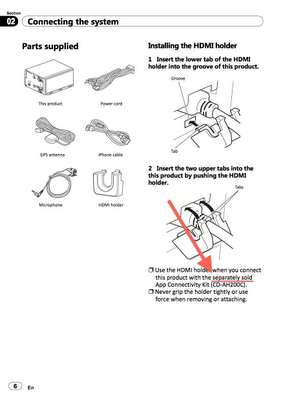 I was going through the online installation manual of AppRadio 2 earlier and stumbled across the above page. In the manual it clearly states that the App Connectivity Kit (CD-AH200C) will be separately sold. The kit is also listed as the Android Connection Kit on Pioneer's website. 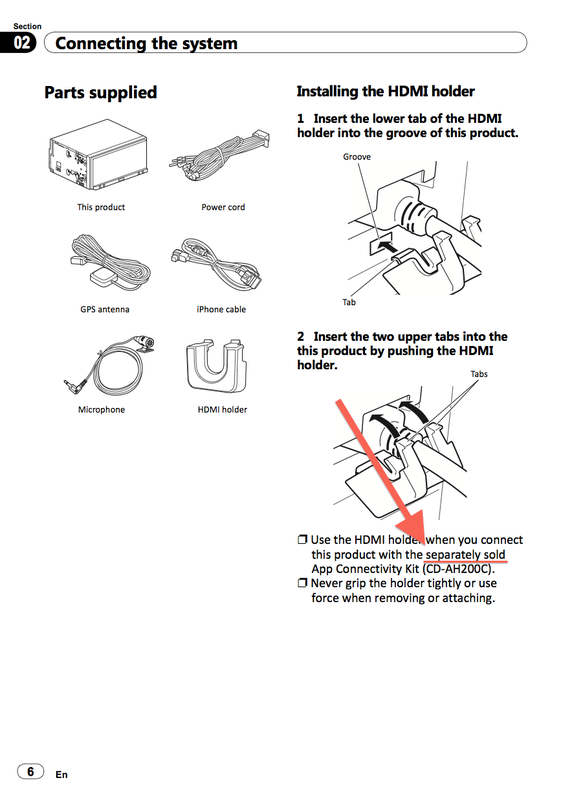 The HDMI holder will have to be used when using the App Connectivity Kit. No information is available at this point about pricing. Hopefully, for the sake of the Android users, it won't be too expensive. I personally think the kit should be included with AppRadio 2. After all, Pioneer has been hyping the second generation device as being Android compatible. I Completely agree about the cables being included. But I'm just excited that certain websites have this thing hitting shelves on Thursday. I hope they are right. I've heard that too. We'll wait and see.